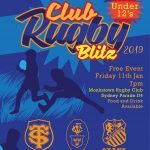 Make sure to get to the Monkstown Minis International Club Blitz THIS FRIDAY, January 11! 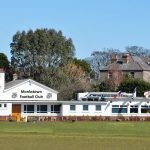 Loads of Rugby for all kids under 12 and food and drink for parents! Featuring teams from Toulouse, Wanderers and Belvedere…it’s shaping up to be a great evening! FREE Entry too… so see you at Sydney Parade!